The best bargain at Amazon today is the Black Series Force FX Z6 Riot Control Baton. This $200 prop replica is 1/3 off today–just $134.39! Also in the Black Series Roleplay, the Stormtrooper Helmet is 38% off, down to $49.99 from $80 today only! The Vintage Collection Imperial Combat Assault Tank from Rogue One is now 40% off at Amazon — just $47.99, down from $79.99. I jumped and got one at that price. It’s also a good time to army build your Jawas! The Black Series Jawa figure is down to $12.41. And it seems stores can’t give away the Vintage Collection Snoke figure. You can get one now from Amazon for just $6.96 (down from $13), but it’s an Add-on item only. The Ultimate Co-Pilot Chewie is a great gift for kids (or those who are still kids at heart). This $130 toy is almost half off today only, $69.92! From Solo in the 5POA line, the Han Solo Landspeeder with figure is 15% off, $25.49 shipped. In the kids focused Galactic Heroes line, the Galactic Rivals 10-Figure pack, with Grievous, Yoda, Luke, Vader, Sidious, Obi-Wan, and more, is 43% off, $17.14. In that same line, Amazon’s exclusive Galacitc Heroes Millennium Falcon with Han and Chewie is $25, down from $40. Amazon also still has the Sphero R2-D2 for just $39.99. Given that it’s sat at that price for about a week I could see a cheaper lightning deal, but that’s still a great price. Amazon has many Star Wars LEGO sets on deep discount today. It’s the perfect time to get the 2018 LEGO Star Wars Advent Calendar. it’s 18% off, and you’ll get it in time to start opening on the countdown to Christmas! The LEGO Imperial Patrol Battle Pack is also 27% off — just $10.99. The Imperial TIE Fighter set is 20% off, $55.99. The Star Wars: Legion core set is $54.69, down from its usual $90. And many more Gaming Bargains can be found on Amazon’s site! Got a deal we didn’t list here? E-mail us at show@swactionnews.com and let us know about it! 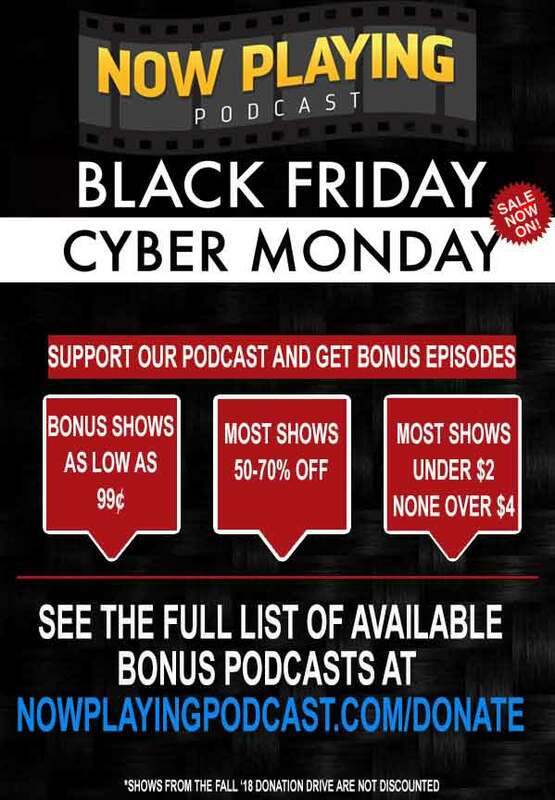 Finally, if you’re a Star Wars Action News listener, you may want to know about the Cyber Monday deal our sister podcast Now Playing Podcast is having right now — for just the next 18 hours! 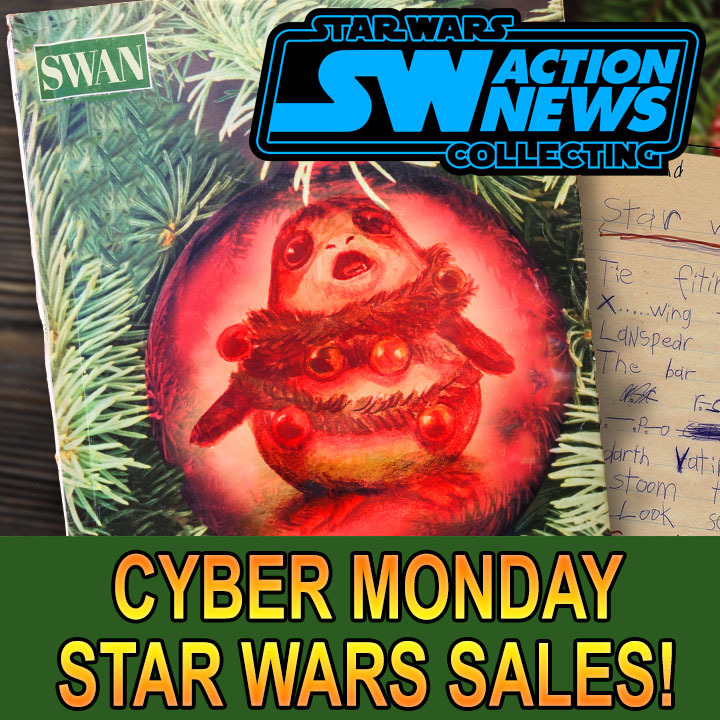 November 26, 2018 Posted by Arnie C | Movies, News, Star Wars, Star Wars Action News	| Comments Off on Star Wars Cyber Monday Savings Give Your Wallet Force!